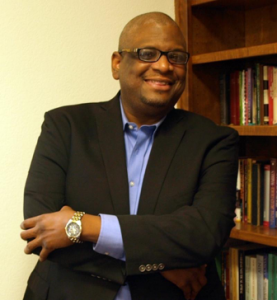 Dr. Rodney B. Frazier is a Dallas native with years of experience in ministry and community involvement. He holds a Bachelor of Music degree from the University of Texas at Arlington. He has studied at the University of North Texas and completed a Masters Degree in Administration. Dr. Frazier is a graduate of Dallas Theological Seminary with a Th.M degree. While at Dallas Seminary he served as Placement Specialist for African American Ministries and Assistant Chaplain. He served in public education with the Dallas Public Schools for over 20 years both as a teacher and an administrator. After entering into full-time ministry, Dr. Frazier served as the Associate Pastor of Worship and Fine Arts at the Concord Church where the late Dr. E.K. Bailey was the founding and Senior Pastor. Dr. Frazier was the founding Pastor of New Beginnings Community Fellowship in Cedar Hill, Texas. As a result of its stability, vision and rapid growth, a major religious organization awarded New Beginnings “Church Plant of the Year” in 2002. He is now the Senior Pastor of Restoration Church of Cedar Hill. Dr. Frazier earned his Doctor of Ministry degree from The King’s University (Los Angeles, CA) in June, 2013. He currently serves as Adjunct Professor of Education at Dallas County Community Colleges and also at Southern Bible College. Dr. Frazier serves as Chaplain for the Cedar Hill Police Department. He is married to Anitra Felicia Frazier has three Adult children and one dog named Lexi.